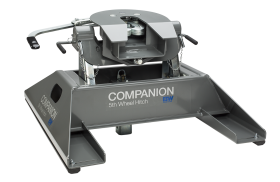 B&W 5TH WHEEL/ GOOSENECK - The Topper Shop Inc. 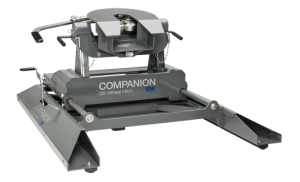 The Companion 5th Wheel Hitch was designed to address the issue of sloppiness in hitches. The result is a quiet, cushioned ride that is free of jerking. And it’s removable. Free up your truck bed when you are not towing. 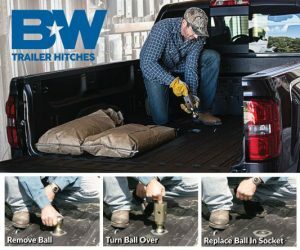 This complete system (Turnoverball with the Companion) will allow you to tow a 5th wheel trailer and a gooseneck trailer and leave your truck bed free for other things when you aren’t towing. It’s removable! Free up your truck bed when you are not towing. The Companion Slider utilizes the B&W Turnoverball under-bed mounting system.